CTSC North, located at the north end of campus, specifically supports clinical and translational research focused on brain and behavioral disorders. One wing houses a fully equipped clinical trial space integrated with wet lab space, animal facilities, and state-of-the-art MRI, MEG, and other neuroimaging resources. The wet lab space is available for faculty working in the areas of neuroimaging, brain injury, and behavioral illness. The other wing includes space for clinical studies and other participant evaluations and interactions. 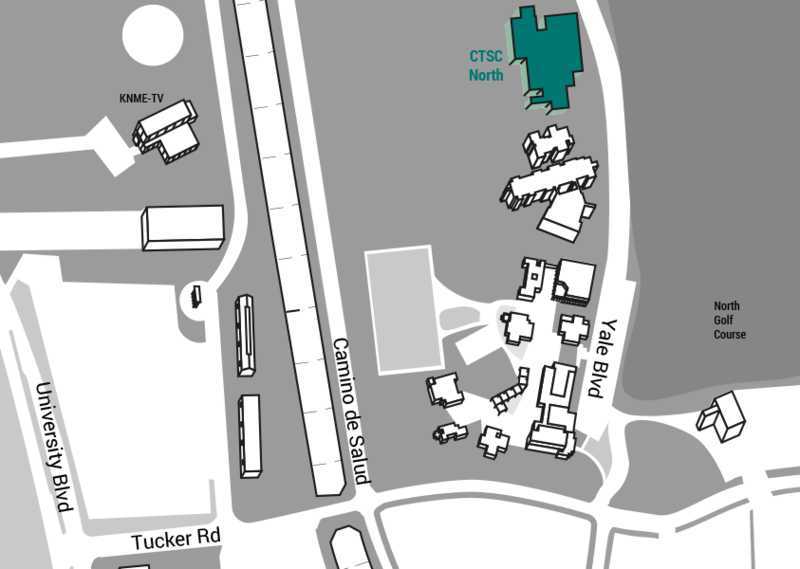 Visitors to CTSC North should enter through University Blvd. Turn east to Tucker Rd and proceed to the stop sign at Yale. Turn left (north) onto Yale Blvd and follow the road to CTSC North. CTSC Reserved Parking is available in the southeast corner of the parking lot.